The World Health Organization estimates that more than 7 million people died in 2012 due to air pollution, making it the number-one environmental risk on the planet. 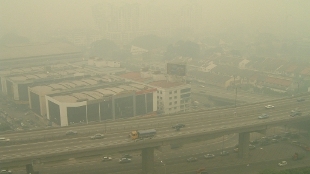 Severe haze affecting Ampang, Kuala Lumpur, Malaysia in August 2005. Southeast Asia is one of the regions hardest hit by air pollution.WIKIMEDIA, SAPERAUDAir pollution exposure is killing an unprecedented number of people around the world—more than 7 million in 2012 alone—according to a new report from the World Health Organization (WHO) released on Tuesday (March 25). These latest numbers double previous estimates and make air pollution the world’s number-one environmental health risk. 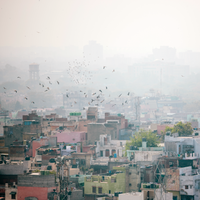 The WHO’s new data draw a stronger link between air pollution and cardiovascular diseases, such as stroke and ischaemic heart disease, as well as cancer. 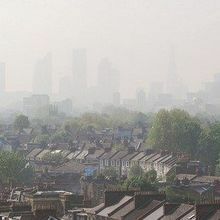 “The risks from air pollution are now far greater than previously thought or understood, particularly for heart disease and strokes,” Maria Nera, WHO’s public health and environment director told the Los Angeles Times. 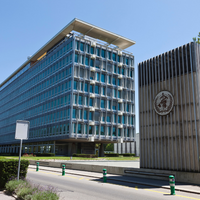 The WHO linked about 4.3 million of those deaths to indoor air pollution and about 3.7 million deaths to outdoor air pollution. 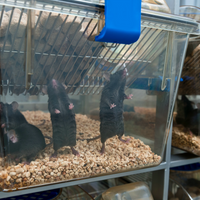 (There was likely overlap between people exposed to indoor and outdoor air pollution, which explains the total estimate of about 7 million deaths.) Most of the indoor air pollution resulted from the use of coal, wood, or biomass stoves, and overall, low- and middle-income countries in Southeast Asia and the Western Pacific bore the brunt of 2012’s air-pollution death toll—3.3 million deaths in those regions resulted from indoor air pollution and 2.6 million to outdoor air pollution, according to the WHO’s estimates. “Cleaning up the air we breathe prevents non-communicable diseases as well as reduces disease risks among women and vulnerable groups, including children and the elderly,” Flavia Bustreo, the WHO’s assistant director-general for family, women and children’s health, told Nature. Last year, the WHO’s cancer arm, International Agency for Research on Cancer (IARC), officially classified air pollution as a carcinogen.